https://www.facebook.com/thejuniorbasement https://www.facebook.com/mobilee Debuted during Mobilee's famed off-Sonar week to a frenzied response, French producer/live act Rodriguez Jr. delivers his first highly anticipated EP of 2015. A renowned perfectionist, Rodriguez Jr. (AKA Olivier Mateu) has been honing his craft for 20 years. It stretches back to the Atari computer and keyboards that dominated his early production experiences, to the years spent disseminating superb on-point electronica as one half of The Youngsters on Laurent Garnier's seminal F Communications imprint, right up until today when the artists works tirelessly to experiment with his machines in his impressive Brussels-based studio and push his sound forward. A mainstay of Anja Schneider's mobilee collective since 2010, Rodriguez Jr. has been one of the jewels in the label's crown; his effervescent live sets have made him one of the most exciting artists in his field, while his productions remain classy, catchy and always forward-thinking. 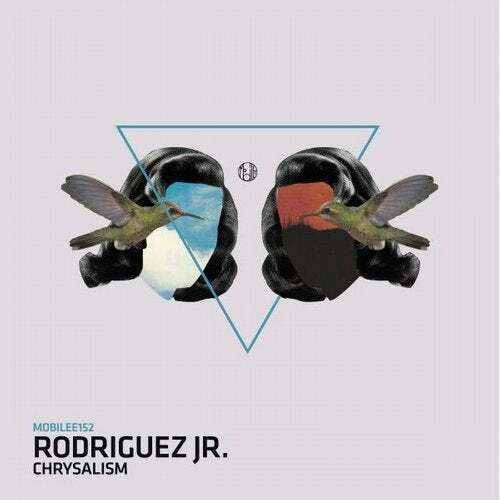 The 'Chrysalism' EP sees Rodriguez Jr. tireless drive to develop his sound signature in full flight, all the while staying true to his core production principles of creating captivating, memorable electronic music. Utilised to great effect in early stages of his recent live sets, the title track is a master class in dramatic juxtapositions and is an exquisite seven-minute composition of warm uplifting synth layers that build over a rough-edged clatter of drums delicately balancing the elements of tension and beauty on a knife's edge. 'Etoile Du Nord' (literally meaning 'Star of the North') is a dreamy, propulsive slice of Motor City-inspired techno and the kind you could imagine soundtracking a warehouse party at 6am as the sun begins to seep through the cracks in the corrugated iron roof. The EP is rounded out by 'Kenopsia' that evokes a kind of beautiful, eerie sense of somber as delicate layers of twinkling melody bubble over the contemplative patter of drums and the light drone of bass. "Going back in the studio after months of intense touring, almost one year after my 'Persistence Of Vision' EP, has resulted in strong moments of self awareness and experimentation with my machines. This is why I chose titles such as 'Chrysalism' and 'Kenopsia', describing obscure sorrows you could sometimes feel, without being able to name them," Rodriguez Jr. explains. "Technically, this EP is a crucial step as it's a first attempt to define what my forthcoming album will be. I had collected lots of material while travelling, and my aim was to keep on developing my sound signature in order to emphasize the core emotions - it's been all about stripping things down, focusing on melodies and textures and, once again, finding inspiration in my deepest influences such as the early techno from Detroit."